He is having great time. Oh that is a cute one - Resting dogs - and a great photo!!! 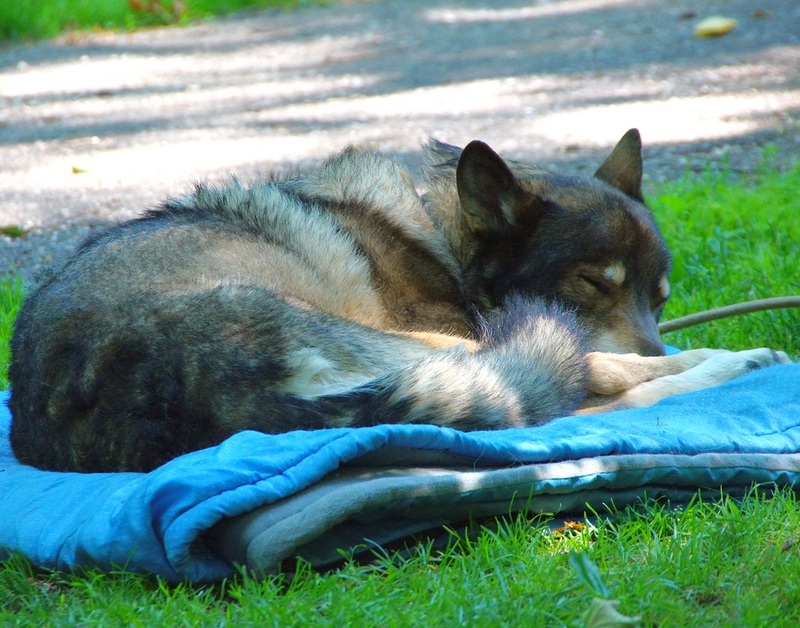 Wolfdog is beautiful and certainly knows how to relax! That looks so relaxing..pup has got it made in the shade! Wolf dog does give out great advice. Cute photo, Misty! Wolf Dog is a beauty! What a beauty--the picture of contentment! Awwww - what a sweet portrait! We could learn so much from animals if we just watch and pay attention!